Do you have a recommendation for…book? So, yeah. I typically do. I have been asked by many people over the years to start a book club since many of my friends and clients are also avid readers, and listeners through audiobooks! I figured one week is a great place to start with a book. One of my former mentors reads a book a day 😮 I’ll be sharing his tools with you as well so you can get the most out of this process. 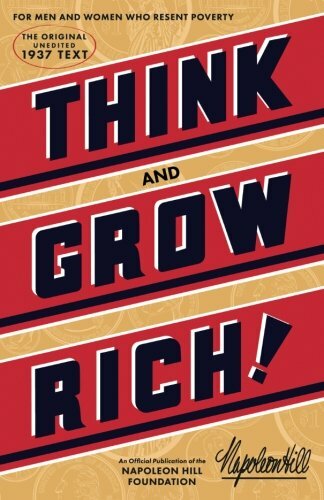 We’ll be starting with an old classic: Think and Grow Rich by Napoleon Hill. Each day, Monday-Friday, I’ll highlight a topic from the book. If you learn something new along the way, great! If you have something you’d like to add, post it in the comment section below the article. It’s a chance for us to learn and grow together!! Oh, and just as a heads up, the Amazon links posted at the bottom of each page are affiliate links so if you do not have any of the books we’ll be covering, and you decide to purchase it through the link on my site, I’ll make a little something on the backend to support my time commitments to this work. It’s not required, however, it is received in divine gratitude. Thank you and I’m looking forward to this journey with you! !